There are indications that three of the 32 aspirants contesting for the All Progressives Congress (APC) primary to pick the party’s ticket for the forthcoming governorship election in Ekiti State may have been in early lead going by feelers from the sorting of votes cast during the rescheduled primary election held on Saturday in Ado Ekiti. 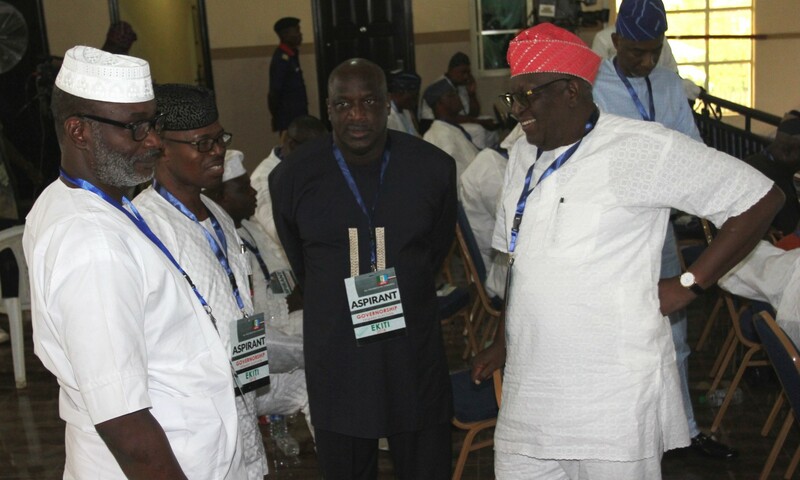 The sorting of votes which is still ongoing at Damlek Events Centre, venue of the primary election, showed the two former governors of the state, Mr Kayode Fayemi and Mr Segun Oni and new entrant, Olubunmi Ojo maintaining the early lead. As at the time of filing this report, Fayemi, Oni and Ojo are in the early lead as the number of votes from four out of the 10 ballot boxes announced so far weighed in their favour.